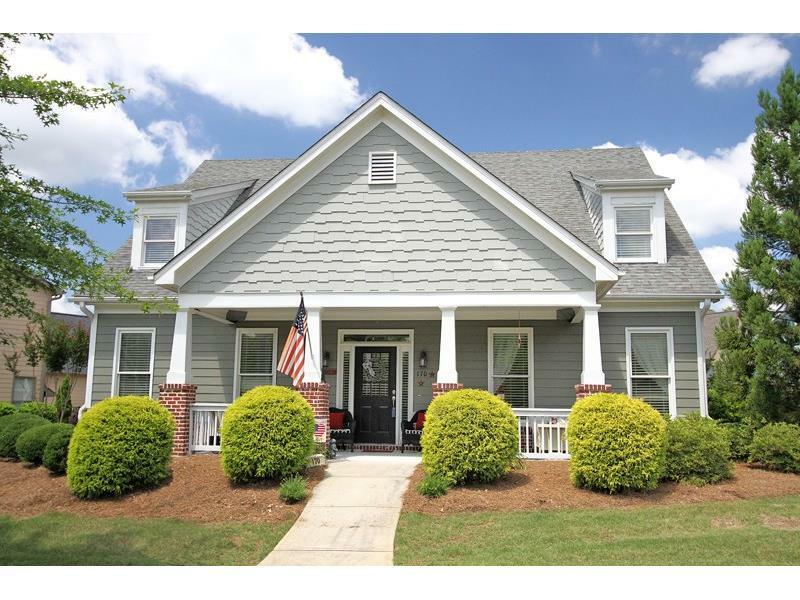 Perfect Craftsman Charmer with Rocking Chair Front Porch! One of the largest Plan's in community. Wonderful Open Floor Plan, Spacious Family Room with Cozy Fireplace, Gourmet Kitchen with Granite counter tops open to Breakfast area and Family room. Office on main/Potential 5th Bedroom. Unbelievable Bonus Room w/bath! Must See Master Bedroom w/spa bath! Tons of Square footage! Home is in perfect condition and welcomes a new family. Community offers Hoa and mandatory Lawn care. Listing provided courtesy of Rivermoore Partners Realty, LLC.